One Strike, One Kill ! Light em' up and knock em' down! Don't be lazy Leo, run! Taste the mighty of my bullet. You will also be cursed! I'm not alone in this fight! A gun is not my only weapon! 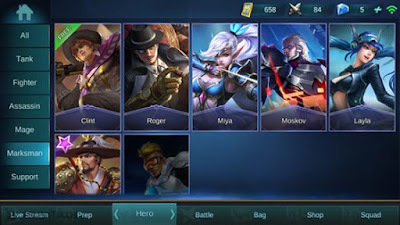 0 Response to "Koleksi Suara Hero Mobile Legends (Marksman)"